Will the real Theodore Roosevelt please stand up? With the angling/hunting community consumed with frantically trying to convince itself that the tag team of Zinke and Trump could become the next Theodore Roosevelt, we have failed to recognize one historic development – the greatest conservation president we’ve had since TR is leaving office this week. Yep, that guy – the black dude from Chicago who doesn’t hunt and looks goofy with a fly rod in his hands. 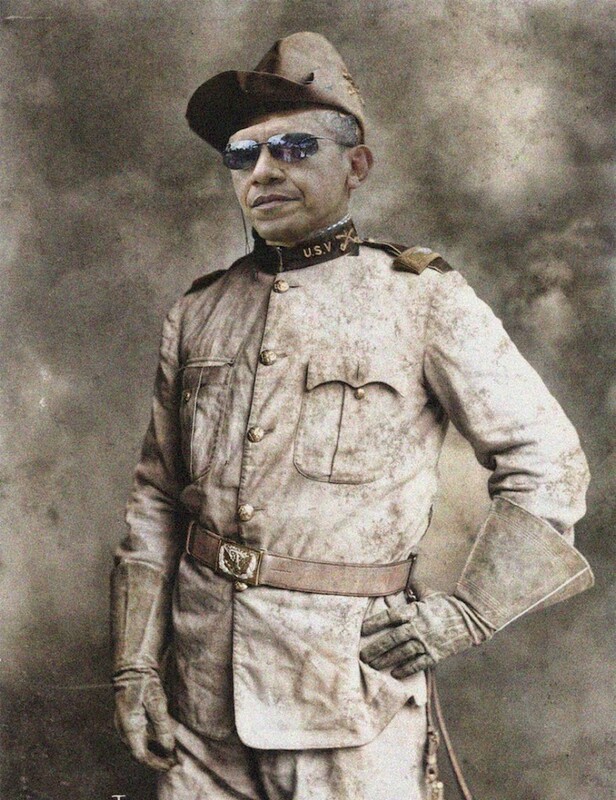 While President Barack Hussein Obama doesn’t resemble the rugged, brooding archetype of America’s conservation icons, he has cemented his legacy as the greatest conservation president since Roosevelt and boasts a record that far outshines any of the gun-slinging, fishy white guys that preceded him in the Oval Office. You might love the guy, or you might hate him. You might despise his foreign, economic, and social policies or you might agree with every aspect of his agenda. You might think he is a Kenyan terrorist hell-bent on destroying America, or you might believe he’s the greatest president of all time. But if you care about wild places and want to maintain access to them, you need to recognize that Obama has been the best friend you’ve ever had in the White House. Maybe that message rings true or maybe it runs counter to everything you’ve felt for the last eight years. Regardless of how that statement sits with you, it is an unimpeachable fact. During his eight years in office, President Obama has protected more than 550 million acres – that’s more than double the amount Roosevelt protected (230 million acres) and more than any other President in U.S. history. Since TR signed the Antiquities Act into law in 1906, 16 Presidents have used it a total of 156 times to create and expand national monuments. Of those 156 actions, 34 of them were taken by President Obama. Meaning in just eight years, Obama is responsible for 22 percent of the national monuments created and expanded by the Antiquities Act. How does that compare to other presidents since World War II? When it comes to marine protection, there is no comparison: Obama is the “Ocean President.” In his eight years in office President Obama has safeguarded more of the ocean than any other president in U.S. history and has increased the protected waters in the U.S. by more than 400 percent. In 2014, Obama expanded the Pacific Remote Islands Marine National Monument by 600 percent, bringing it to a total of 490,000 square miles. It was the largest marine reserve in the world until Obama smashed his own record by creating the largest ecologically protected area on the planet when he quadrupled the size of the Papahanaumokuakea Marine National Monument to 582,578 square miles. 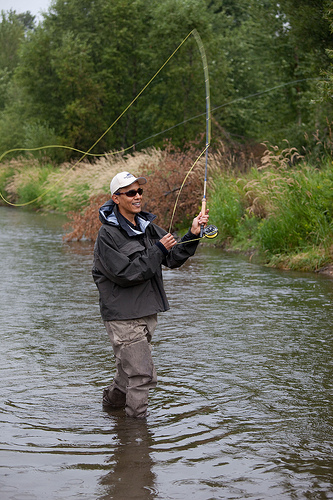 No doubt, Eisenhower, FDR, and Hoover spent far more time wetting a line in the waters surrounding Camp David than Obama has. And sure, we still love to quote Hoover for famously saying stuff like, “all men are equal before fish” and “the gods do not deduct from man’s allotted span the hours spent in fishing.” But when it comes to determining which president has most closely followed in the footsteps of Theodore Roosevelt, the answer is Barack Obama. And frankly, it’s not even close. No matter how compelling Obama’s statistical record protecting America’s public lands and waters is, to truly understand President Obama’s legacy you have to look beyond the numbers and delve into the murkier waters of D.C. politics. When you wade into that swamp, you see that over the last eight years the angling community has had a resolute ally in the White House. When we needed the EPA to step up and use their authority to stop the Pebble Mine, President Obama made it happen. When we needed to protect the Clean Water Act from dozens of congressional attacks that would have undermined the ability of this critical law to protect fish habitat across the country, President Obama helped beat them back. When efforts were made to steal America’s public lands and sell them to the highest bidder, President Obama said not on my watch. When we needed funding for critical conservation programs like the Land and Water Conservation Fund, President Obama fought tirelessly to make sure those conservation dollars were available. When faced with the imminent, grave threat of climate change, President Obama championed a clean energy revolution and worked to ensure that the impacts of climate change are factored into our resource protection policies. Take today to appreciate and acknowledge a president who said things like, “it is impossible to put a price on towering peaks, pristine forests, and America’s cultural heritage.” Take today to celebrate a president who protected more public lands and waters than any other president in U.S. history. And take today to thank a president who said no to Pebble Mine and yes to strengthening the Clean Water Act. In the chaotic, fast-paced world we live in, it is easy to get swept up in the moment and move forward blindly. But we owe it to ourselves to take today to reflect on the historic conservation era we just experienced and to thank President Obama for making it happen. It took exactly one hundred years for the American people to elect a president worthy of being called Theodore Roosevelt’s successor. So let’s savor today, Obama’s last day in office, because who knows how long it will be until we elect a president that will follow in the footsteps of Theodore Roosevelt and Barack Obama and assume their mantle of America’s Conservationist in Chief. Thank you President Obama and God bless America, land that I love. Good recap of the last 8 years. I never like Obama as a president but I miss him already. Eloquence, humility and conviction. we won’t be seeing any of that for a while. You contradict yourself when you speak of the Land and Water Conservation Fund. The primary source of funding for the LWCF is mining, and oil extraction leases. How is Pres. Obama the champion of the fund when every other action you write of undermines the revenue source of the fund? You have allowed political bias to influence your writing; it hurts our conservation efforts. Sorry guys, the “protection” Mr Obama placed on all these areas means nothing long term; with the $10 trillion he added, doubling our national debt, he has essentially mortgaged all our public lands to foreign investors. So, Worse than transferring our federal lands to the states, Mr Obama has sold them to the Chinese.